A boozy burst of pecan and honey rum blended with ginger beer and sweet apple cider makes a delicious cocktail for any fall or winter day. Fresh apple cider spiked with brandy penetrates this pork loin with a sweet aromatic flavor. 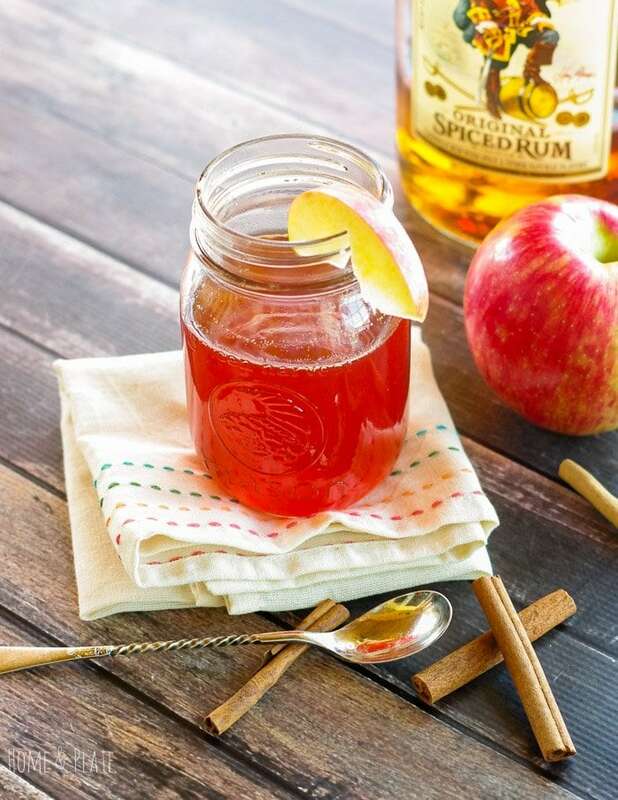 Warm up during these chilly fall nights with a hot and soothing cocktail that takes regular apple cider and kicks it up a notch. Salted Caramel Apple Martini | www.homeandplate.com | Fresh apple cider and caramel flavored vodka make up this fabulous fall drink.